Make your treasured engagement photos even more endearing with this romantic picture frame. As a gift for yourself or someone else, it conveys an air of timelessness and levity. 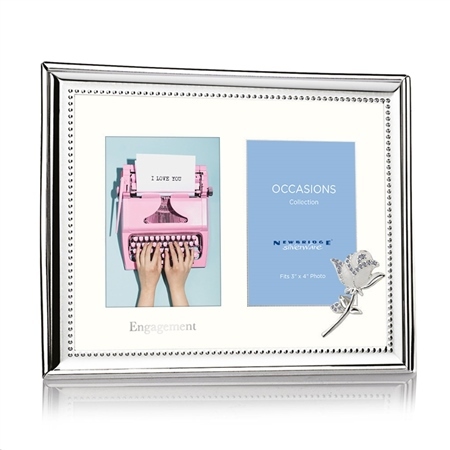 Silver plated with a protective anti tarnish layer, engagement photo frame with floral detail, fits two photos each 3" x 4", presented in a Newbridge Silverware gift box.